Strut cards or show cards are a perfect solution for point of sale displays, stalls, craft fairs or counter displays. These low cost self-standing A4 boards are printed in full colour and mounted to thick cardboard with a white backing and a rudder strut attached to the reverse ready to use. Simply fold out the strut and set up your display board. 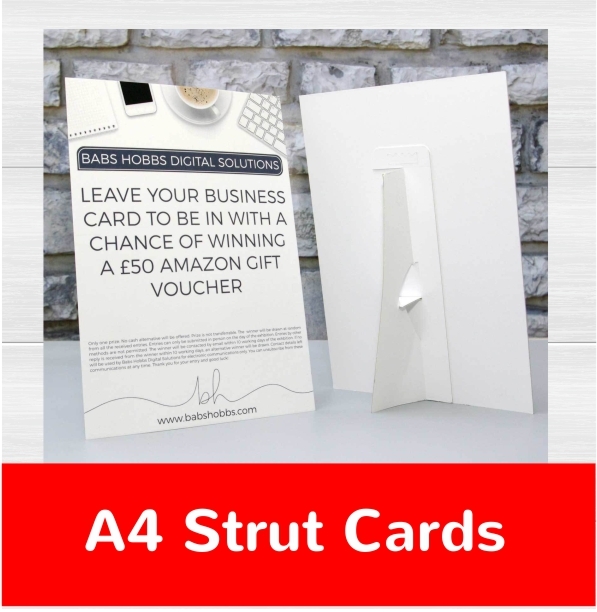 How would you like your A4 Strut Card?